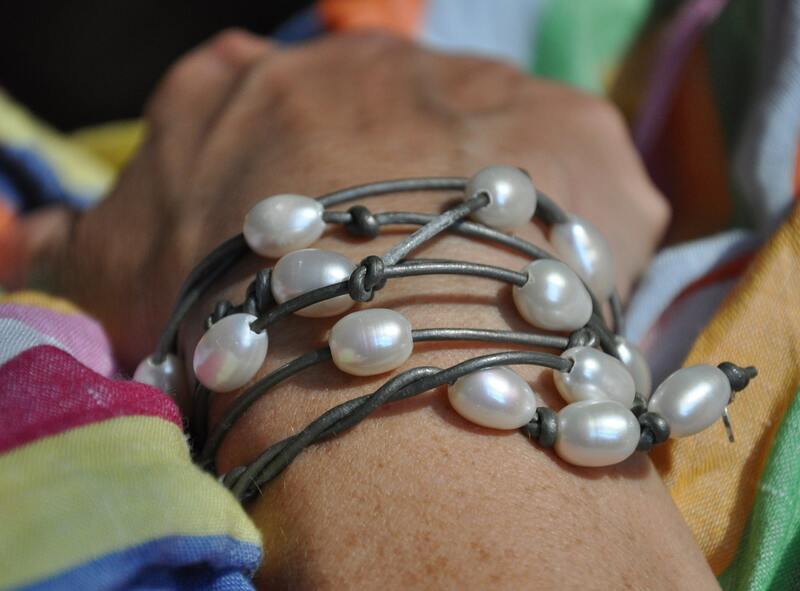 This freshwater baroque pearl and metallic grey leather lariat can be worn as a necklace or bracelet, or even as a belt or bag charm. As a necklace, it can be worn long and looped. It can be worn be worn chest-length, either as a choker with a long dangle, or as a double loop. It can also be worn as a choker, tied in the front or the back. To wear it as a bracelet, simple twist the ends around one of the stands. 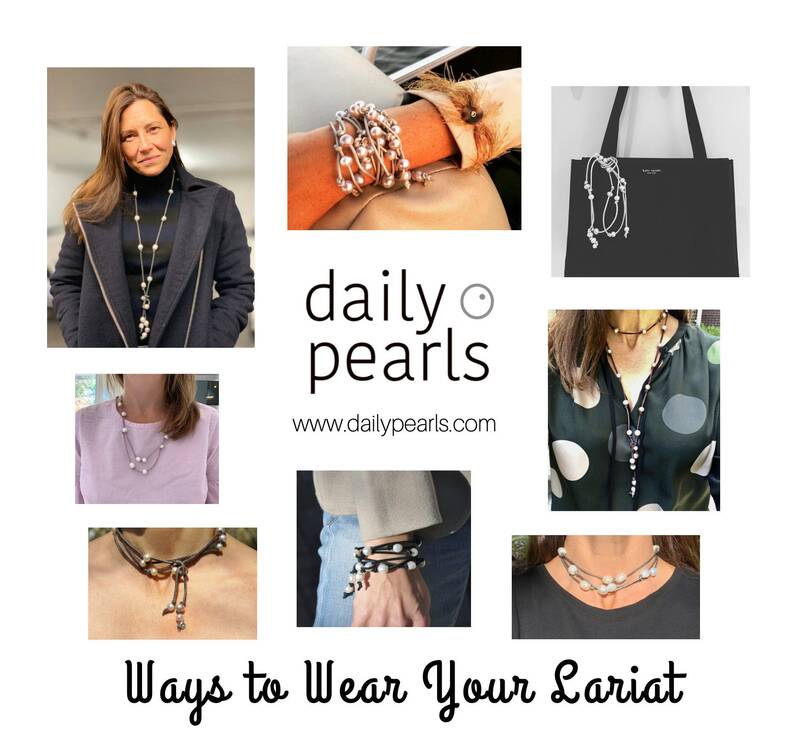 The lariat features 18-20 pearls, as well as a sterling silver dangle with the stamped Daily Pearls logo. It comes with the above card, which shows how to wear it, and if requested, will be sent with a pink gift bag and tissue paper.